YouTube is always a main source to download 3D video for VR Headsets. When you have Oculus Rift CV1 in handy, you maybe also want to download some YouTube 3D video and watch with Oculus Rift CV1. So here, let’s show you how to watch YouTube 3D video on Oculus Rift CV1 step-by-step. 2. Find a 3D Youtube video. 3. Copy/paste the link to your Virtual Desktop. *Open up “Virtual Desktop” and go to VIDEO PLAYER tab. Paste the link in the “Paste URL” blank. 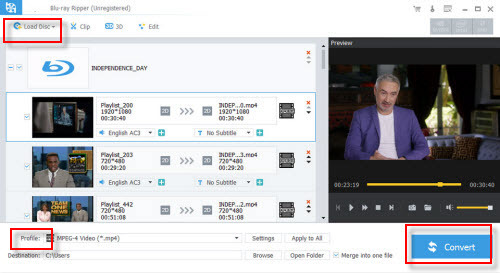 *Virtual Desktop will take care of downloading the video at the highest quality possible (usually 4K when its available) and will play it back right away. *The videos are saved into your “My Videos\360 Videos” folder. Virtual Desktop is good for watching Youtube 360 and Youtube 360 3d videos. You paste the url and Virtual Desktop downloads the whole file and starts it playing full screen on the headset automatically. It is very interesting to see the Google Jump 360 3d videos in it. You can see stitching flaws in Google Jump videos much more clearly than with anything else I think –eg. the violin bows in Resonance in the orchestra scenes. Whirligig also works well with Oculus Rift CV1 and is more extensive in its support of various angular coverage fisheye (“dome”) stereo videos and equi (“barrel”) format stereo videos. But it is a hassle to use I think as it doesnt support mouse input (only keyboard and xbox controller). You might have downloaded some 3D videos from YouTube a long time ago for your CV1. These 3D video maybe 3D FLV, 3D MKV, 3D MP4. But when you just test it with a 3D SBS .mkv file on Oculus Rift CV1, it does in fact work but possibly you will have is that you can’t get sound to play cause some .mkv uses DTS sound which the Oculus video app might not be able to process. If you have such YouTube 3D video, you maybe need to convert 3D MKV to 3D MP4 for CV1. 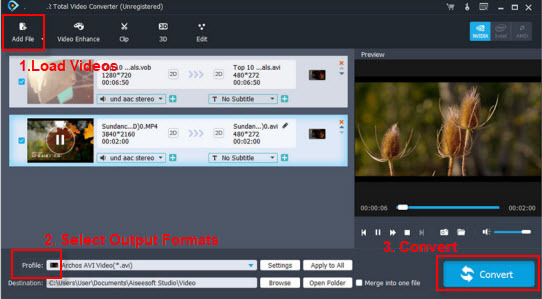 With aPubsoft Video Converter, you can get this done easily and quickly. This app not only can convert YouTube 3D video to 3D MP4 for Oculus Rift CV1, but also convert any 4K/SD/HD video, TV shows and music dramas to 3D SBS video for watching in CV1. It offers three kinds of 3D effect: SBS, TB and Anaglyph and can switch 3D effect to another. 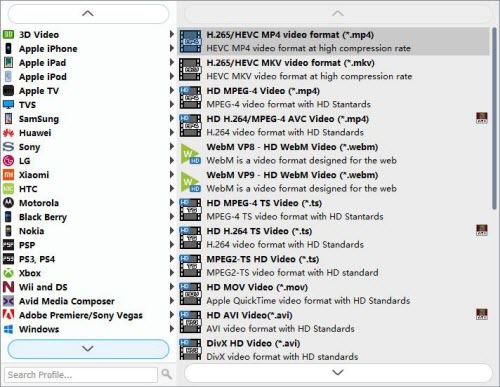 Run this aPubsoft Video Converter as the best YouTube 3D Video to CV1 Converter (Mac version)on your computer. And click “Add File” button or simply drag and drop the YouTube 3D videos to the converter . You can add many files and convert them at one time. Click “Profile” bar and navigate to “3D Video”, there are a lot of format options for you. “MP4 Side-by-Side 3D Video (*.mp4)” is recommended for Oculus Rift CV1. Tip: Click “Settings” button to customize your target video size, bitrate, frame rate and 3D depth. If you want to get best video quality, pls switch them to “original”. 3D movies should be encoded “full side-by-side” with a 1:1 pixel aspect ratio. Content mastered at 1920×1080 compressed side­-by-­side 3D should be resampled to 1920×540 resolution full side­-by­-side resolution. Higher resolutions will not provide any better quality, meaning you’ll waste space and processing power. We also recommend using a higher bit rate than a typical web stream at that resolution, as the pixels in your video will be magnified on the phone’s screen. The optimal bit rate is content dependent, and many videos can get by with less, but 5 Mb/s should give good quality. Press the “Convert” button to convert YouTube 3D video to 3D SBS MP4 for Oculus Rift CV1 with top video and audio quality. After the YouTube 3D video to 3D MP4 conversion, click “Open Folder” button to locate the 3D SBS .mp4 videos. Then, transfer the 3D SBS .mp4 videos to Oculus Rift CV1 for playing.